Hello it's Glen here tonight watching the Olympics and catching up on posts, and redoing a Recollections photo box into a beautiful trash to treasure project. 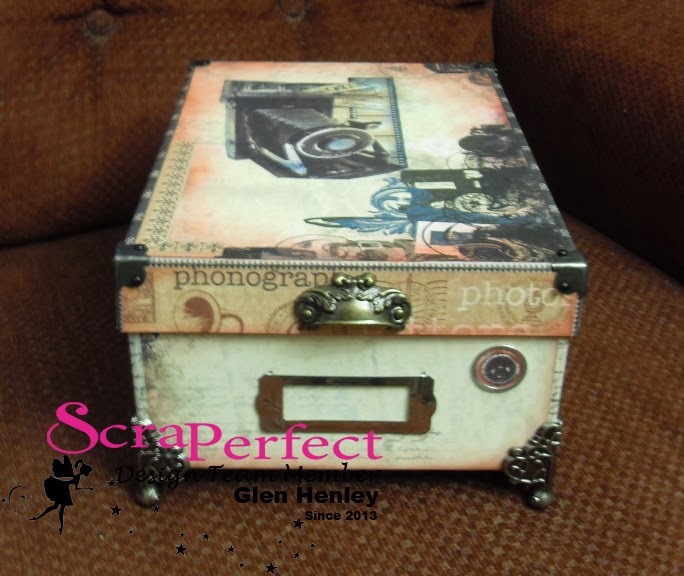 So finally my photo box is done, I am happy with the results but wonder if I should have done more with it? I will let the viewers decide that on their own. It was all made possible with the ScraPerfect products you can purchase here. Thanks for stopping by today and be sure to check out the other projects on this blog for great ideas! 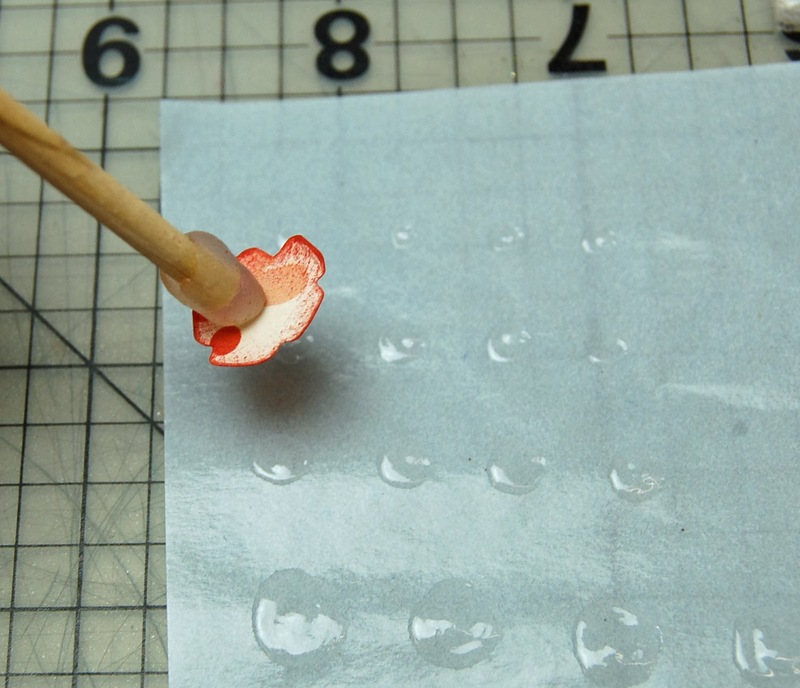 Morning ScraPerfect Fans, Chelsea here, and I wanted to talk about the best way to remove sticky adhesive residue. For years we all had to have different cleaners in our craft bag, one to clean ink, one to remove adhesive, one for this and that. Now with Best Cleaner Ever (BCE) we only have to carry one bottle with us that will take care of everything. When I first received the BCE couple years back in 2012 , I tried it on a heavy adhesive residue on my new oven. At the time I was blown away , watch the video below to see what I mean! I was hooked once I tried it , I went around my house and cleaned everything! I had 2 year old adhesive on my front door from Christmas decorations that simply was to tough to remove. Though for the BCE it was breeze ! 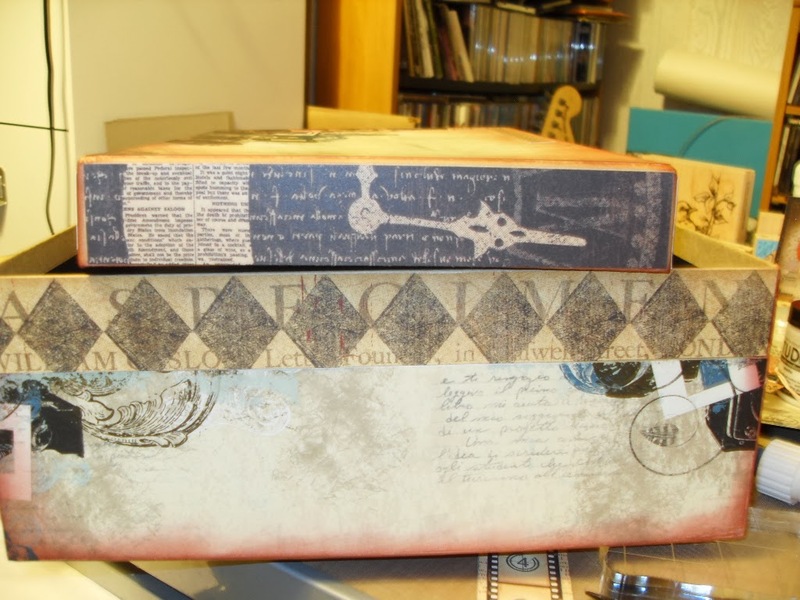 Another fabulous use for the BCE is stamps! It's amazing what this product can do to stamps and I am not talking about day old ink , I am talking about YEARS old ink. These stamps were appox 10 years old with ink and the BCE resolved it. TIP : leave the BCE for 30-45 minutes and then remove. As tough on on removing adhesives, and inks it is also safe and gentle on our skin! How many times as crafters has your hands got sticky, or inked? For me it's to many to count! Though with BCE I can rub my hands with 2 sprays and just wash my hands in the BCE like I am using soap. This is what I love with all ScraPerfect products , it's tough on everything but so gentle at the same time. Thanks for stopping by the ScraPerfect blog today! Enjoy the rest of your weekend. 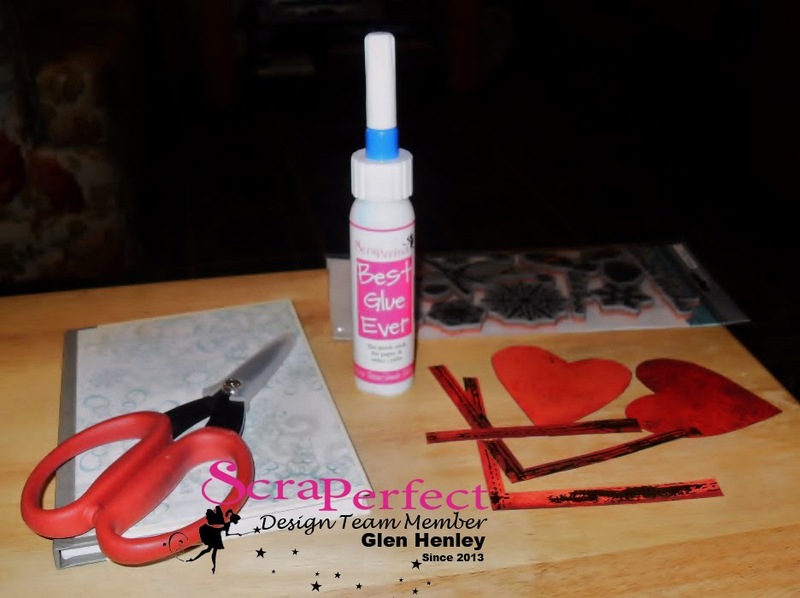 Hey ScraPerfect fans, Michelle here to show you how to make Acrylic Scrapbook Embellishment for pennies. 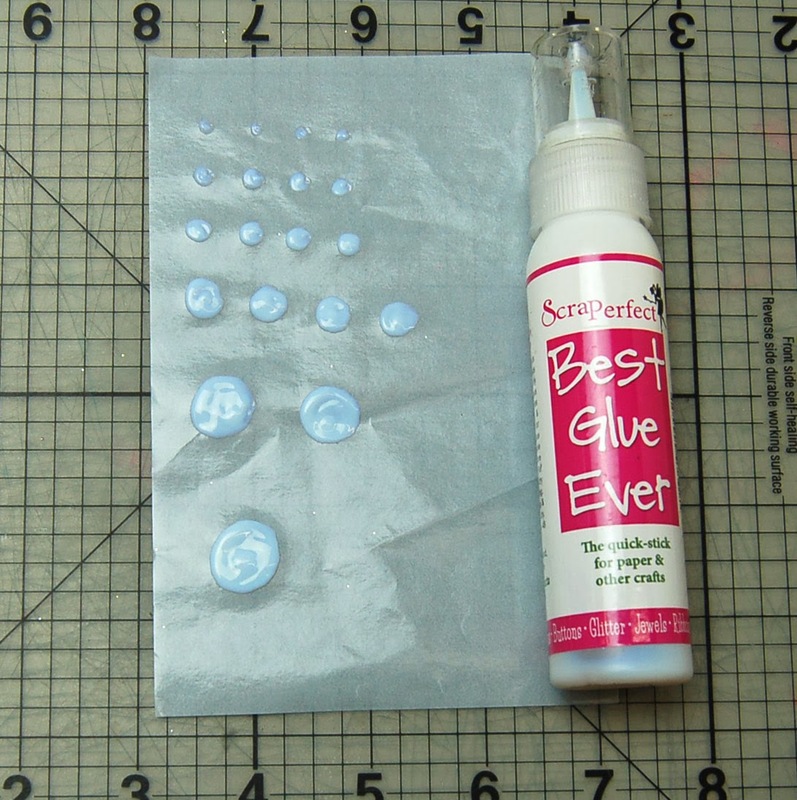 Clean a piece of acrylic using the Best Cleaner Ever and then how to make a cute embellishment with it using the Best Glue Ever. I was working on a project and some of the elements didn't quiet turn out how I had hoped they would so I wanted to start over. Unfortunately didn't have another acrylic piece like this one and I really wanted to use this on my project. So I removed the paper and stickers I started with and my tile looked like this. To get the tile looking new I sprayed with the Best Cleaner Ever and gave it a good rub with my finger to make sure there was good coverage. I did this for both the front and the back. Once the Best Cleaner Ever has set for a few minutes I gently wiped with a micro fiber cloth to remove the cleaner and gook. Then I rinsed under water and dried with the cloth. The Perfect Cleaning Cloth is perfect for this. Now that I have a clean piece of acrylic to work with I put a small amount of the Best Glue Ever around the outside edge of the acrylic and attach a piece of patterned paper, if using double sided paper have the side you want to see facing the glue and acrylic and it will be visible from the front through the acrylic. See, you see the paper not the glue. Add a little bling for a fun unique embellishment. 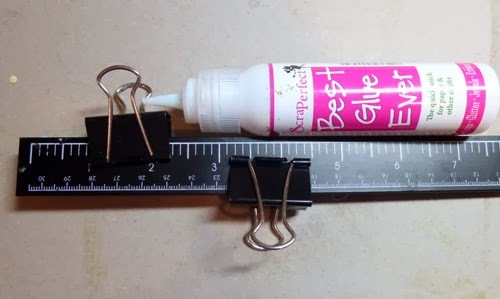 Good morning, everyone, Steph here today with a quick tip on how to glue the magnetic strip on just about any material. . 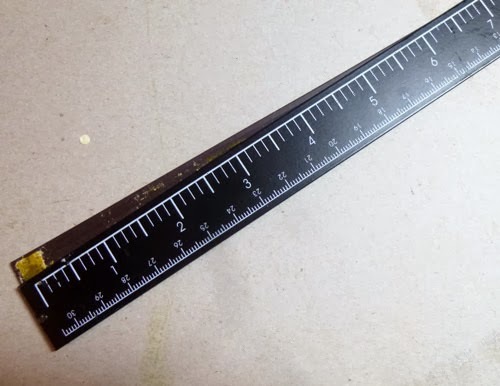 I've had this magnetic ruler for a long time and use it constantly, but recently found that the magnetic strip was pulling away from the ruler. 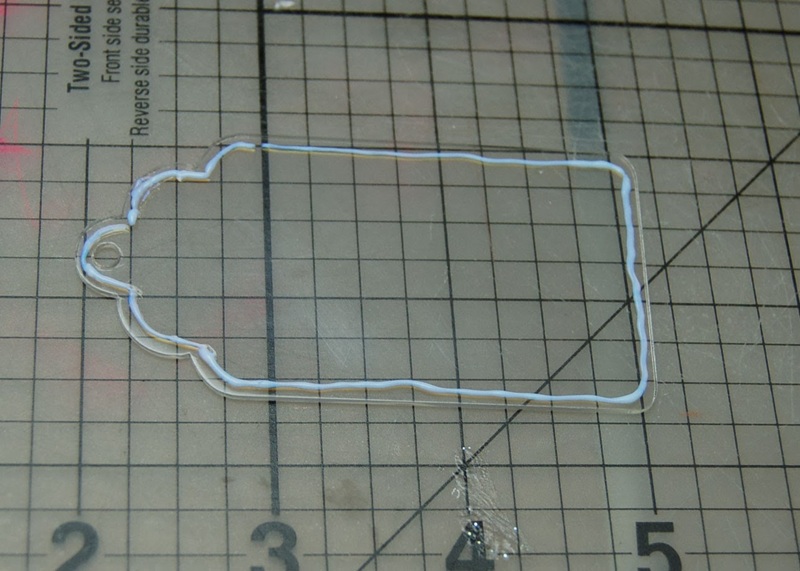 So I just placed some of the Best Glue Ever along the ruler and reapplied the magnetic strip. I used some alligator clips to hold the pieces together while they sealed. 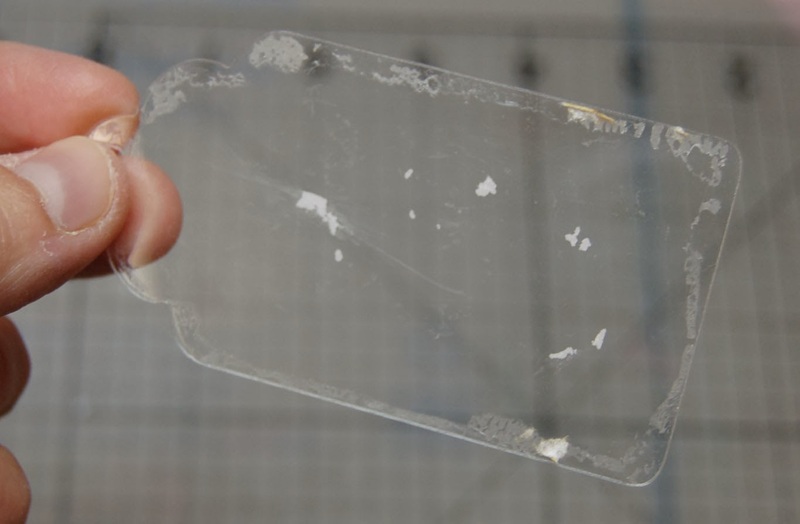 And voila - another product fixed with the Best Glue Ever. 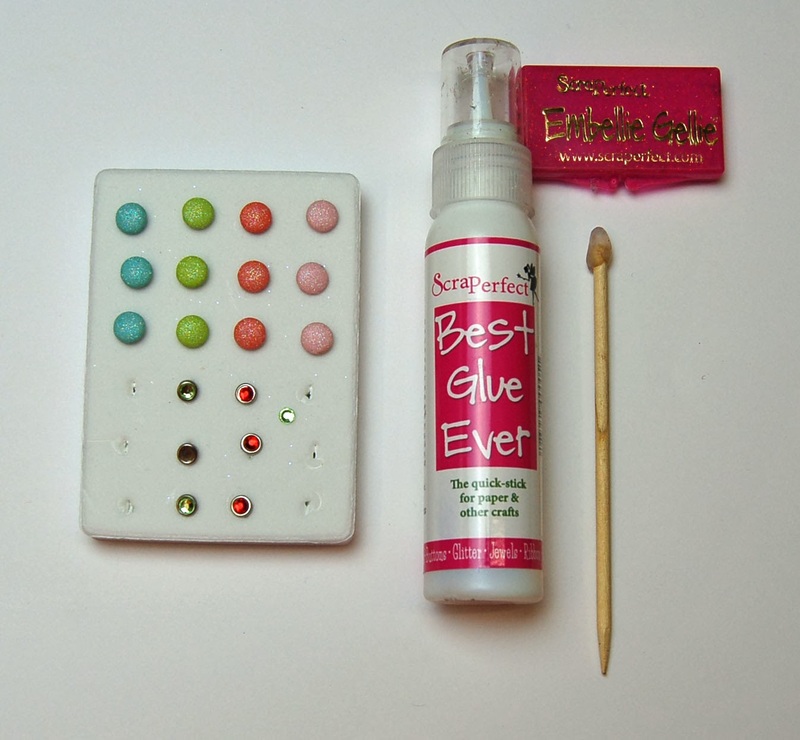 Hope you give this adhesive a try - you will be very happy with the results. Hey everyone, Michelle here to show you how to fix a brad with a missing gem. When I received this set of brads one of the green gems was loose in the package and not attached to the brad it was originally on. I put a thin layer of the Best Glue Ever on the base of the brad. 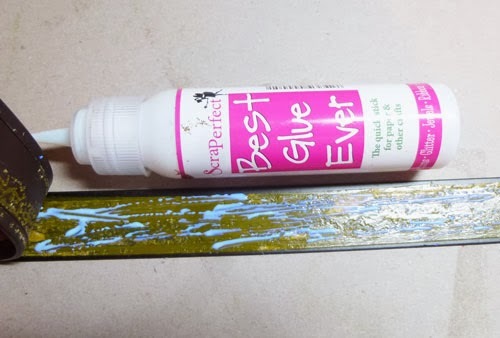 Let the Best Glue Ever for a few minutes until it is clear and tacky, like a custom placed glue spot. And place it on the brad. The tacky glue has a strong hold and will grab the gem and it will release from the Embellie Gellie. 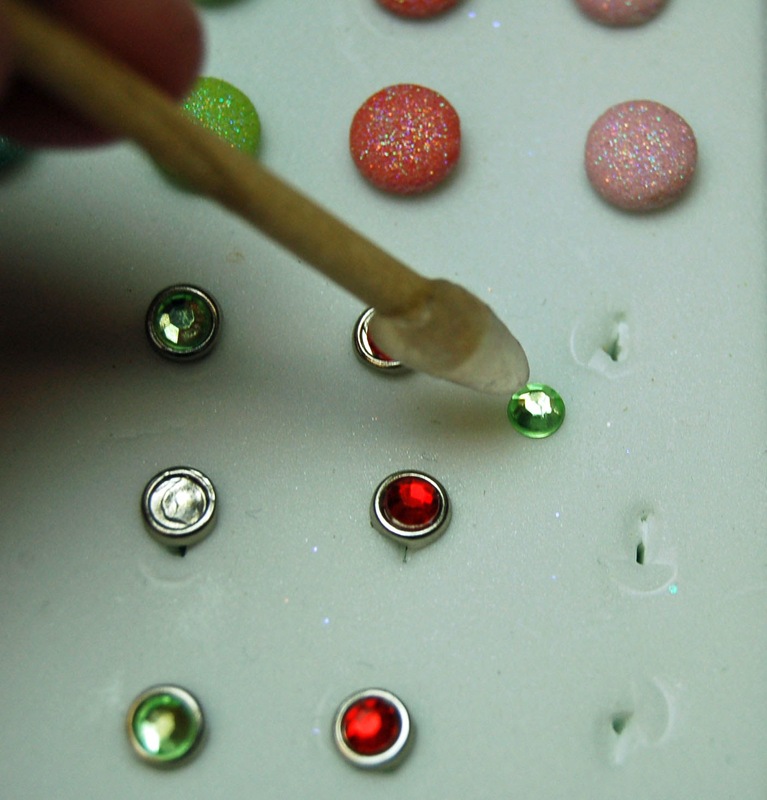 Embellie Gellie is great for placing small gems on any project. 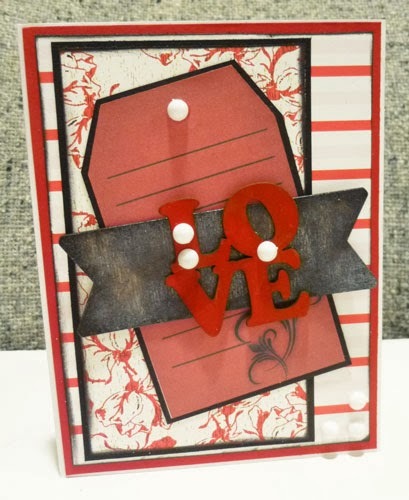 It's Glen here on another snowy night in the east to bring show you how to make a Valentine Altered Art Journal. I made this one today using the great products from ScraPerfect. I started with a nice wintry paper as a background and after cutting to size glued it down front and back with the Best Glue Ever. 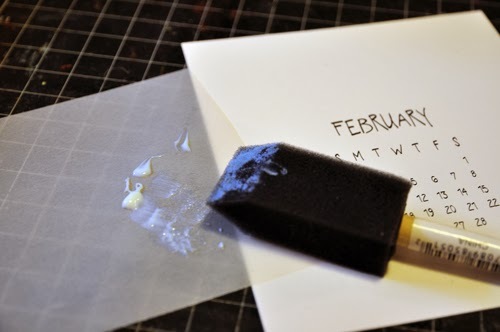 The No-Clog Writing Tip made this project easy by allowing me exact placement of the glue without all the sticky mess of other adhesives and mediums. I added a strips from the heart paper as decorative accents but opted to place them open to add interest, then using a new set of stamps to drive the message home on this cold and lonely winter. 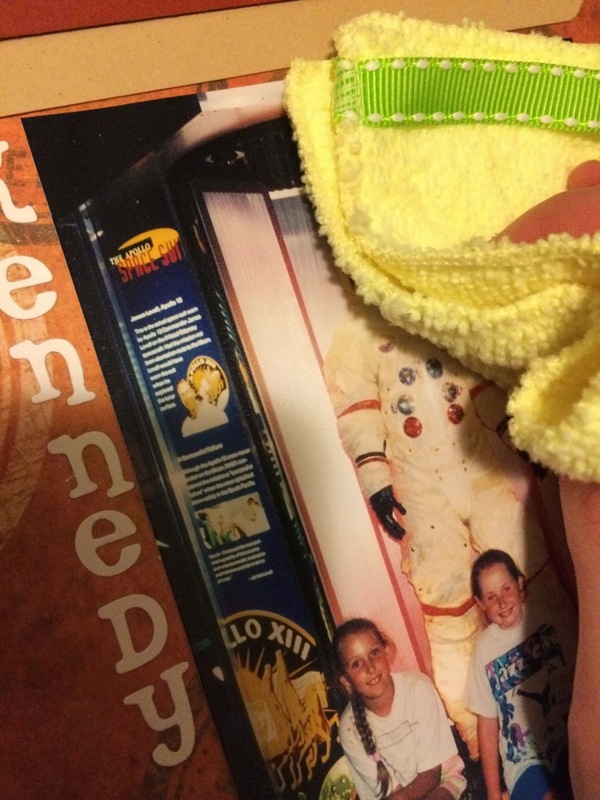 Here's How to Get Fingerprints off of Your Photographs. Morning ScraPerfect Fans, Chelsea here showing you how to get fingerprints off of your photographs. 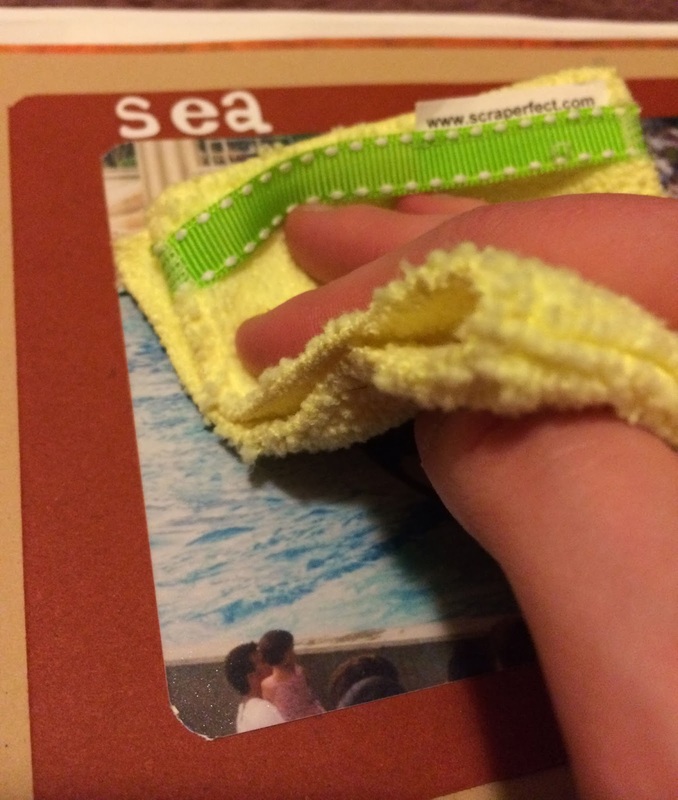 Last week I talked about the Perfect Cleaning Cloth from ScraPerfect and the verity of things I was able to clean with the cloth. To refresh your memory click here to be taken to the blog post. This week I like to share how gentle this cloth can be on photographs. 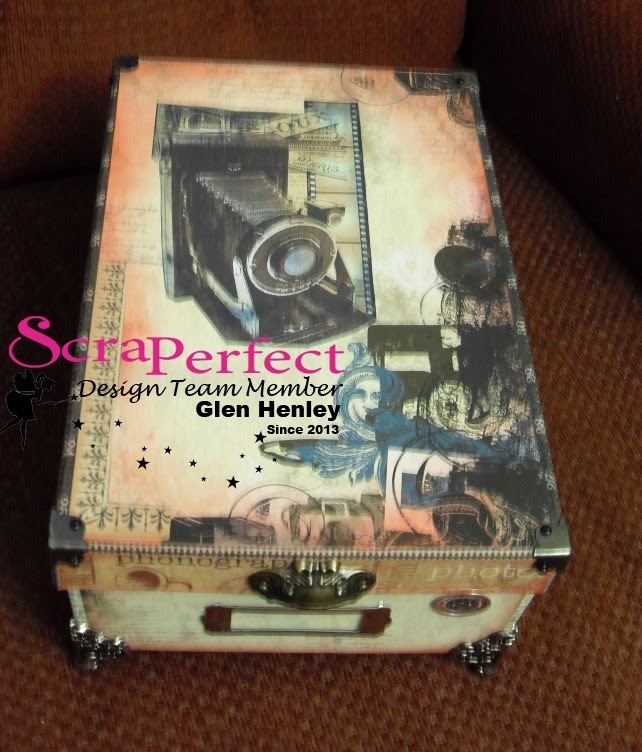 We want to ensure our photos are free from dust, particles (glitter/powders/sanding dust) & fingerprints before we place them into our page protects and into our scrapbook albums. 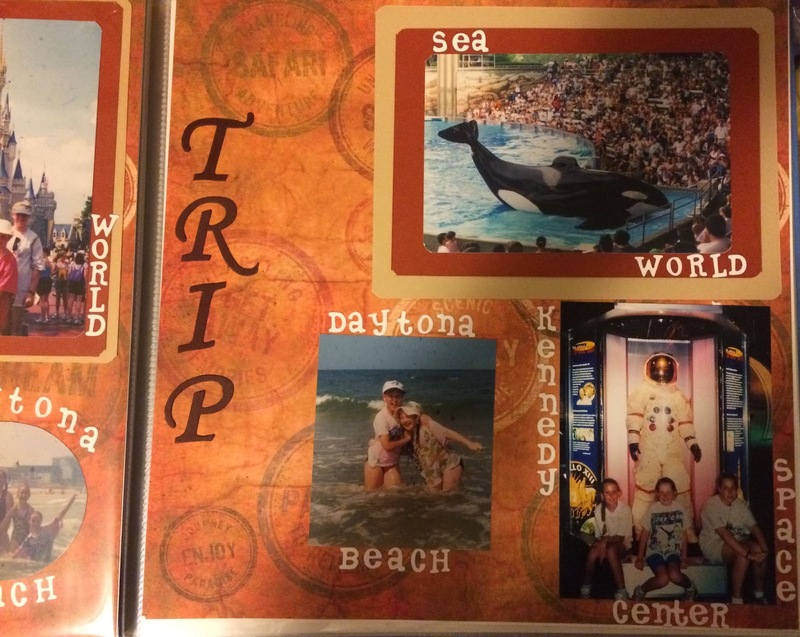 We want our photos to look there best when family and friends are flipping through the pages. It is easy to clean with the Perfect Cleaning Cloth, and what amazes me the most it is a universal cloth. 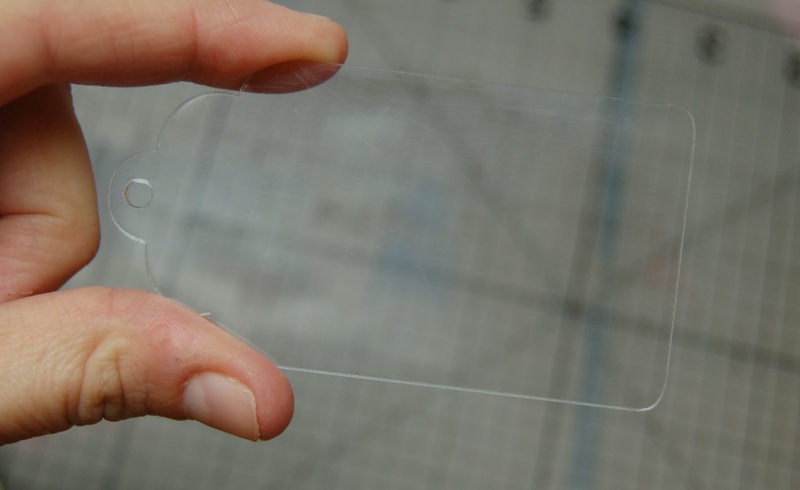 It can be used as you saw last week with screen surfaces (ipads, iphones, computer monitors etc) but yet be so gentle and harmless on our precious photographs! Incredible, how many products can you say are tough, and gentle? Quick and easy, in just a few circular motions the dust, dirt, fingerprints are lift from the surface of the photograph. Perfect results each and every time. Quick 5 minutes before popping it into your page protector. 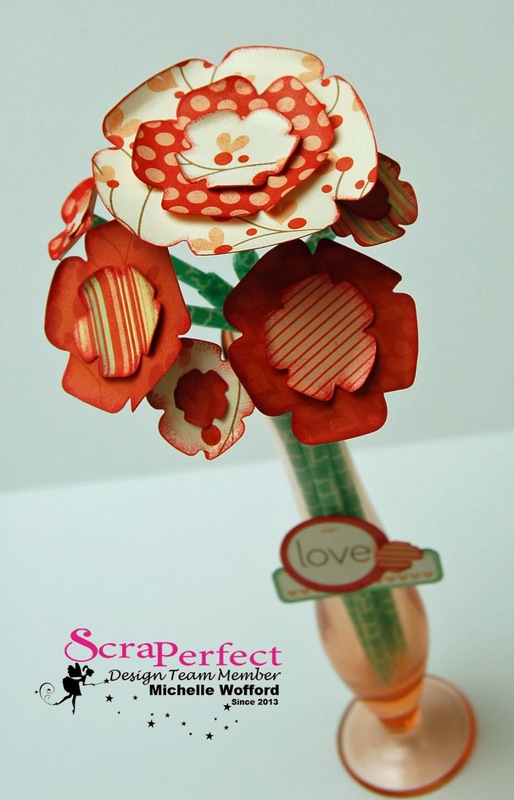 Thanks for stopping by the ScraPerfect blog! 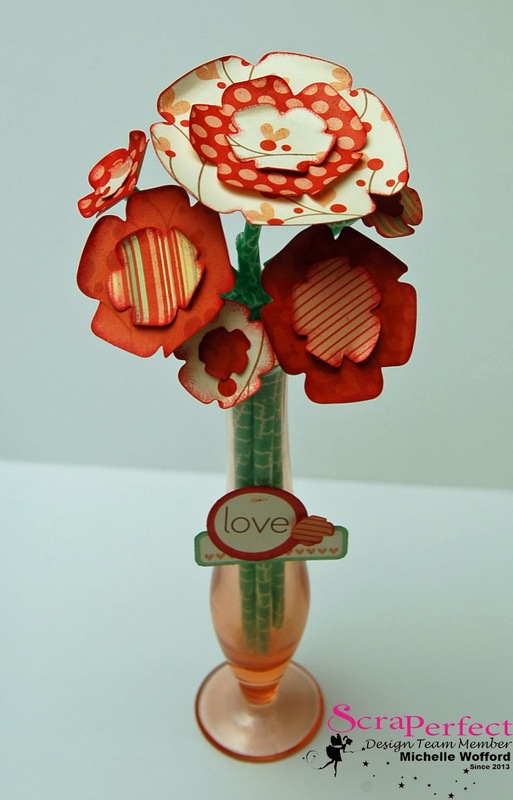 Michelle here to share how to make a a paper flower Valentine's bouquet in honor of Valentine's Day. 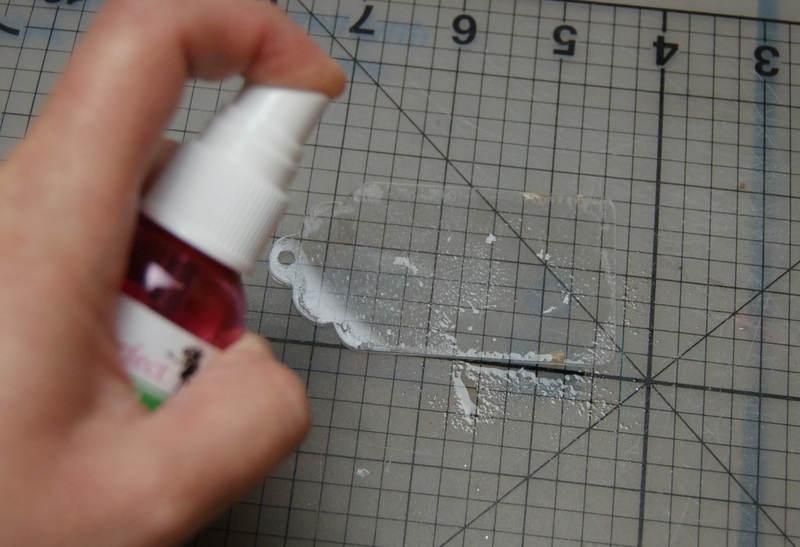 Start by making some of your own custom glue spots using the Best Glue Ever. 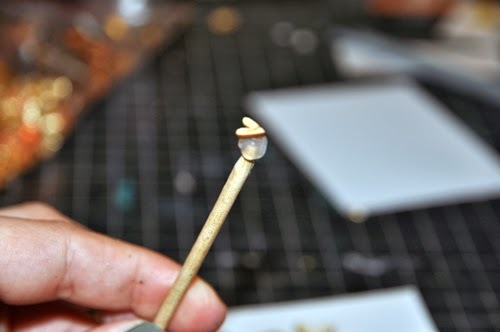 Simply make spots of glue in any size you want. Set aside and allow to dry until they are clear and tacky. 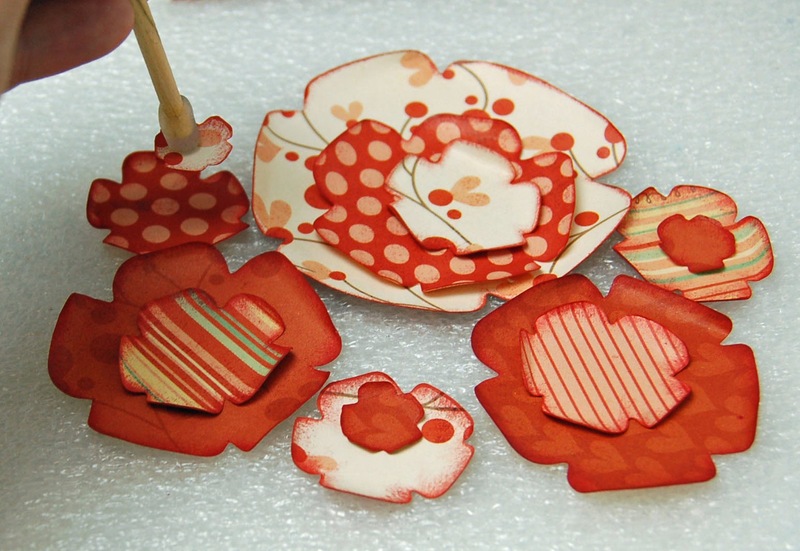 While the glue spots are drying die cut or punch out your flower pieces. 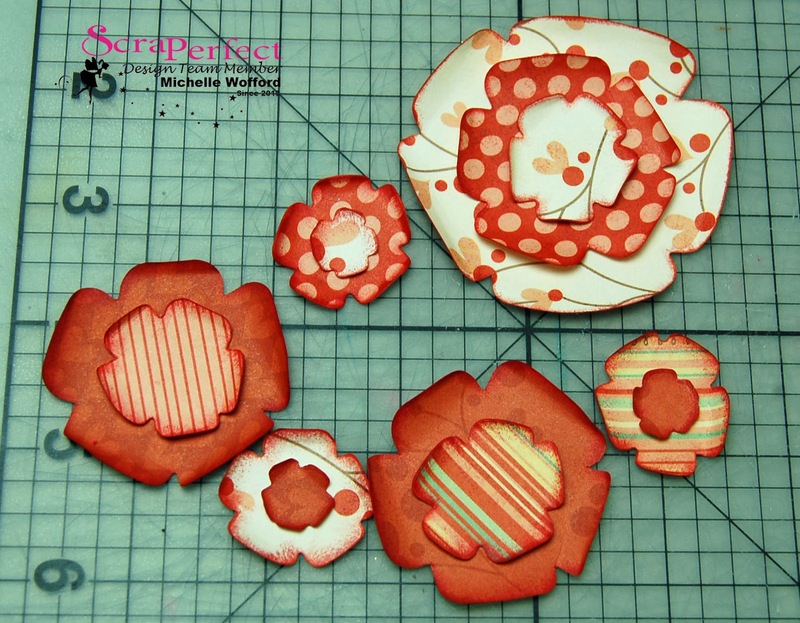 Once the flower pieces and glue spots are ready grab your Embellie Gellie and start assembling the flowers. 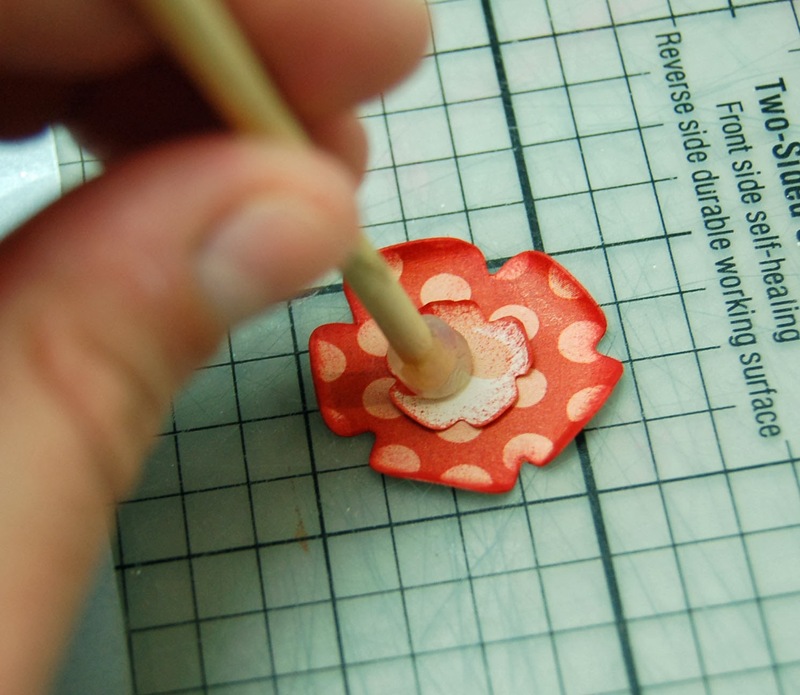 Use the Embellie Gellie to place the flower on the glue spot and to remove it and place the flower on the larger flower base. I made a set of six flowers and attached them to straws that I covered with washi tape. 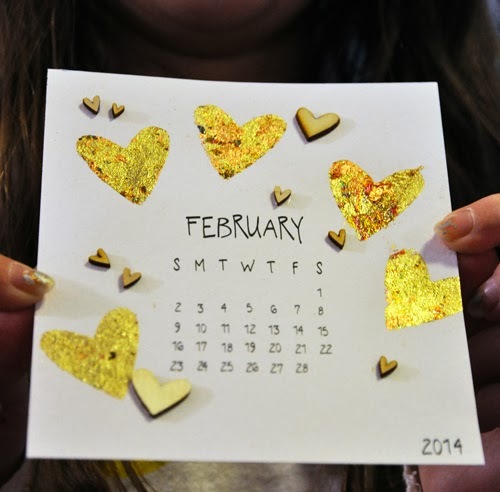 Hi everyone, Steph here today with tips on how to make a beautiful handmade Valentine's Card. 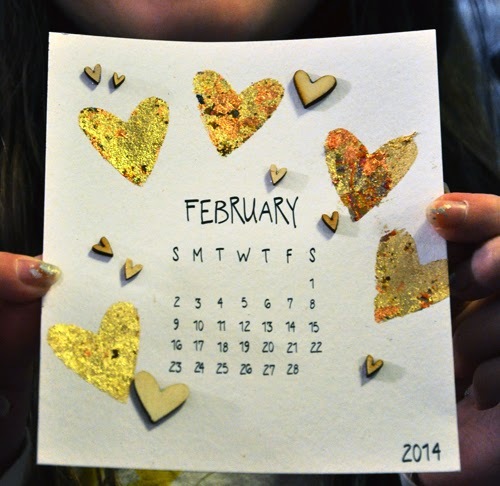 It's almost Valentine's Day and what could be more fun than creating a card for someone you love. I used lots of Robin's Nest papers along with their white Dew Drops. These little guys are awesome to place on all kinds of projects, but are a little too small to pick up and place easily. That's why I use the Embellie Gellie. 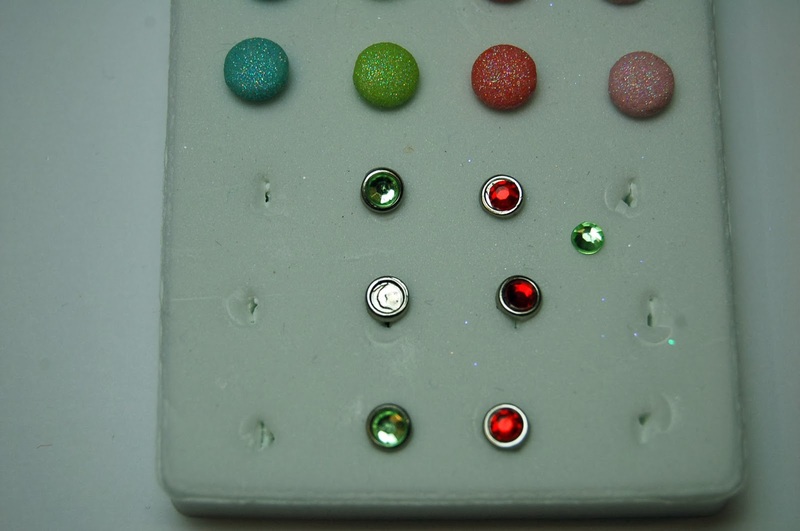 It's perfect for picking up all those little gems you want to use and placing them exactly where they need to be. 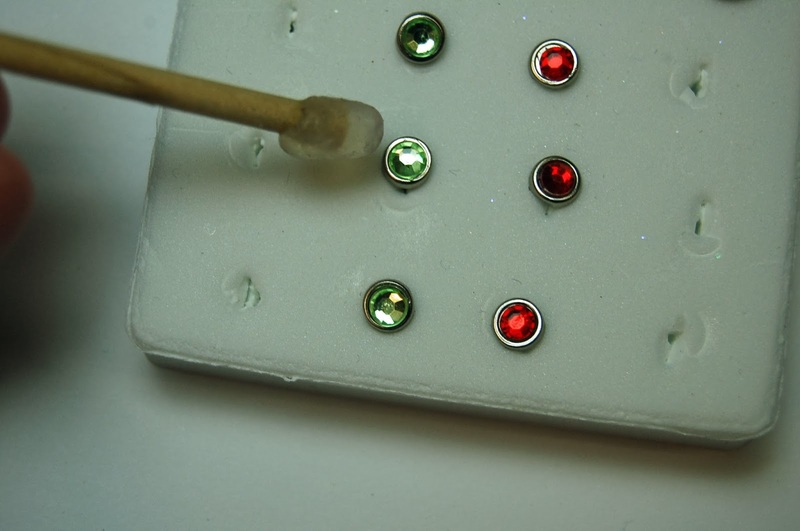 The Best Glue Ever was used to adhere the chipboard elements as well as the Dew Drops. A quick and easy card to create thanks to the Embellie Gellie and the Best Glue Ever. I wanted to create an egg embellishment, so the Best Glue Ever™ and Jacquard Pearl Ex powder beautifully transformed a plain pink paper oval frame. 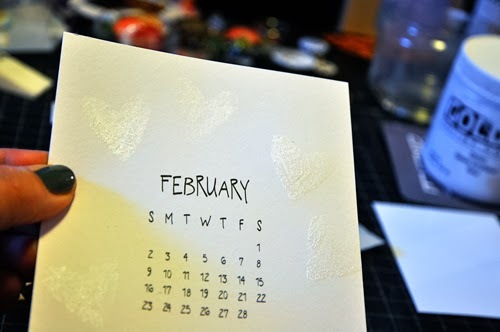 I cut a piece of vellum, added the story using a few EASY-PEASY computer "tricks"and the result was an Easter Egg-shaped Journaling embellishment. Check out the video for easy step-by step-instructions. 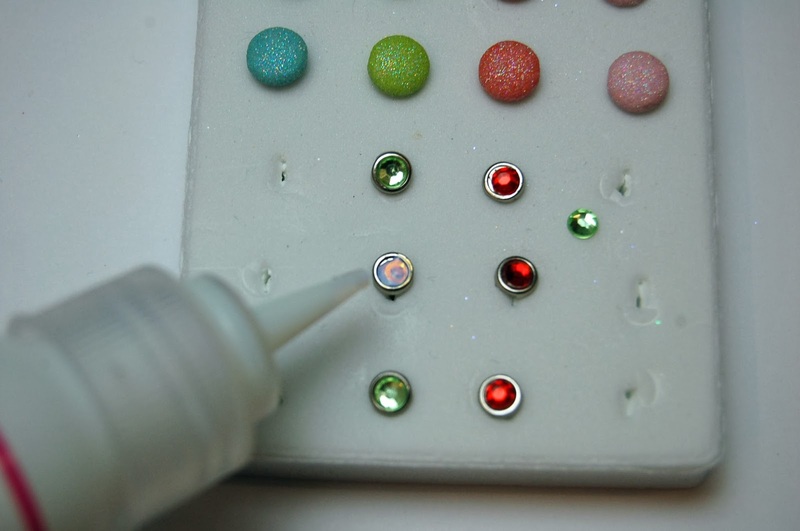 Use this technique for embellishments for cards and for other holidays, too. Make a pumpkin for Halloween or a heart for Valentines Day, for example. What other shapes do you suggest? Deborah here with today's project involving how to best use gold leafing on cards . Every year I pick up a small Paper Source calendar to hang behind my computer. I like having a small calendar that I can quickly reference without having to pull out my iPhone or open an app. This year I bought their DIY calendar. It's printed on a white background, ready for you to decorate. 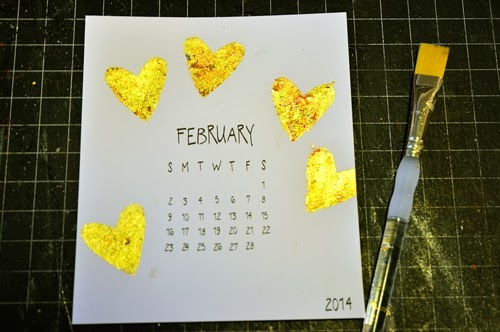 And to decorate my February calendar I used a mask, wooden hearts, gold leafing and the Best Glue Ever. 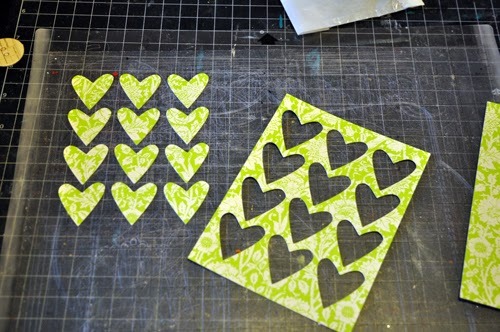 I started with a Studio Calico cut file of hearts that I cut with my Silhouette. I'm going to use it as a mask. 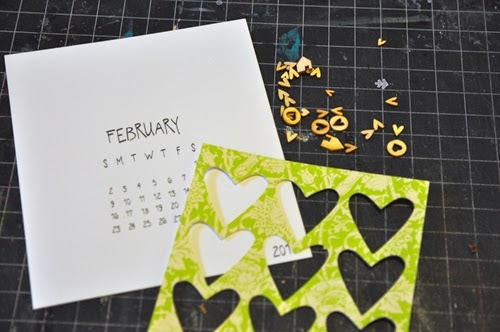 This is a great way to use up scraps of paper or old paper you're not in love with anymore. Next up was applying the glue. I use cheap foam brushes for this step along with a scrap of paper. I put some of the Best Glue Ever onto the paper then dab the brush into it. 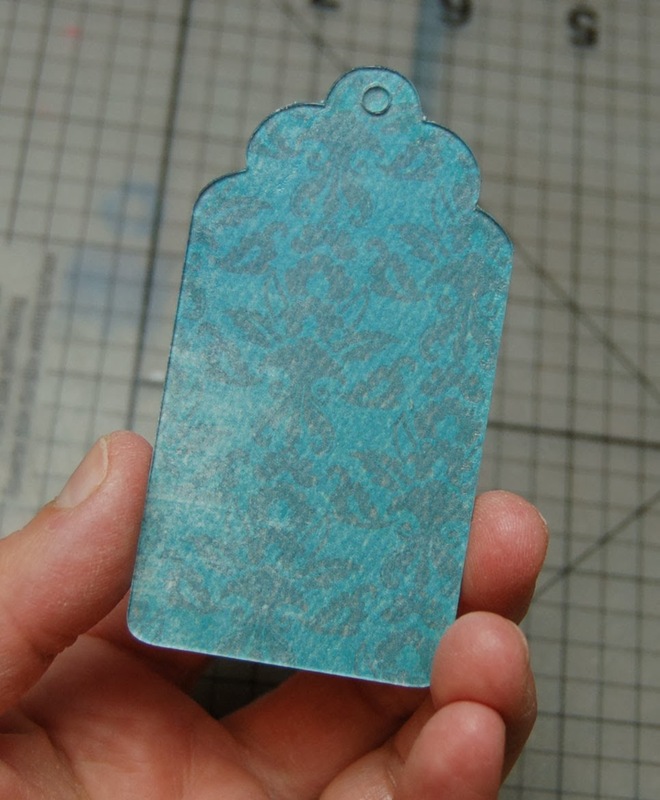 You don't need tons of glue on your brush, and too much will seep underneath your stencil. Now for the leafing! Gold leaf is very light and likes to fly around. Put a little over your project and grab a brush. You are going to brush the leafing around the paper. At first I use a light touch to cover the glue. Once it looks like I've gotten most of the glue covered I shake most of the excess back into the container to be reused. Now you can press harder with your brush. You're brushing the excess off the top of each heart. Don't be afraid to brush. You can see on the top right heart where I didn't get all the excess leafing off - I had to go back and brush a bit more. Now for the wooden embellishments. I love these tiny hearts but they are a real pain to pick up. Well, they would be if I didn't have Embellie Gellie! It easily grabs onto the hearts so I can apply a tiny drop of the Best Glue Ever. And here's the finished project again, tilted a bit so you can see how reflective the leafing is. How to make 12 Cards: Fast, Easy and Inexpensive! 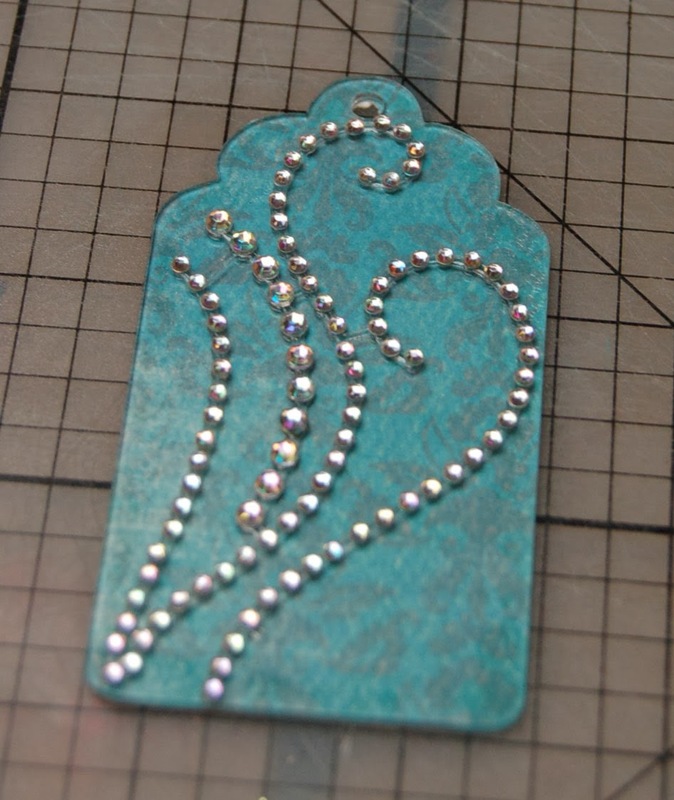 Amy here to share an easy and fast way to make a set of cards with some cool, easy inexpensive DIY embellishments. 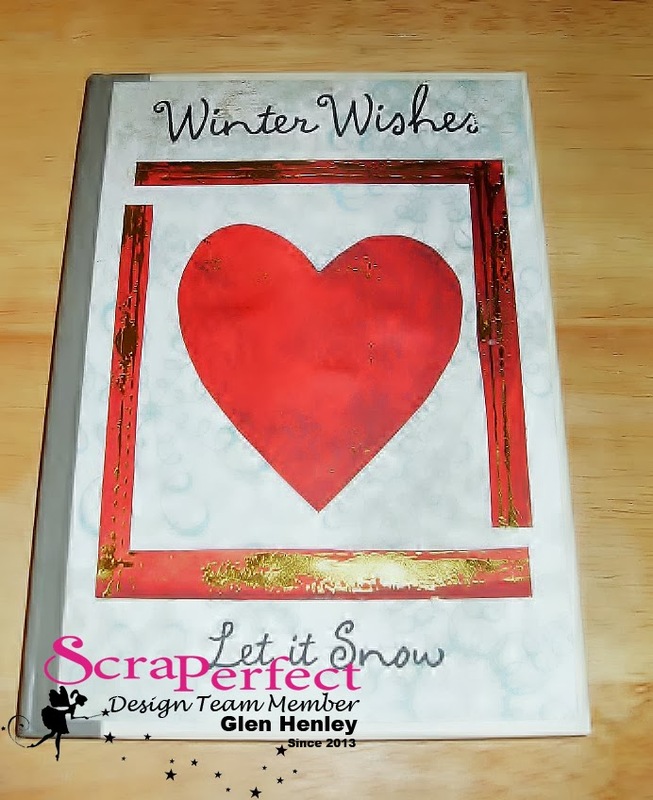 The basic technique is known as One Sheet Wonder to make 12 cards from one piece of 12"x12" patterned paper. You need more supplies than that, but it's a quick jump starter and a great way to use odds and ends of supplies to end up with a coordinated "set" of cards. 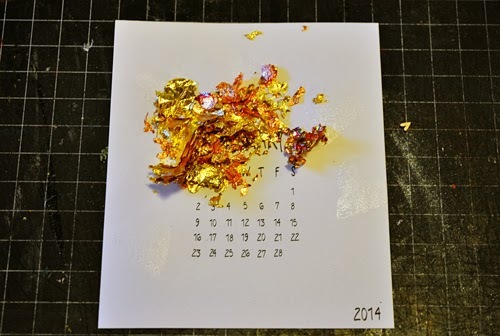 After the cards are made, the really fun starts: embellishing the cards! Have you done the "One Sheet Wonder"? Any tips you'd like to share? 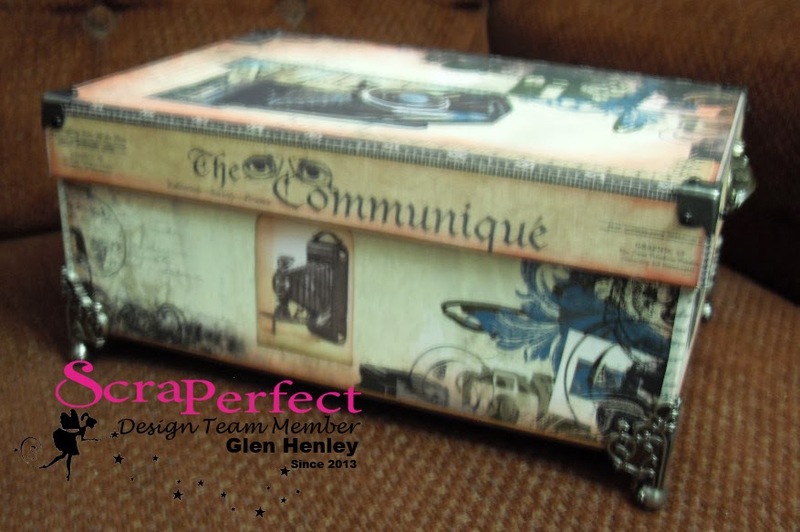 Hi folks's Glen here, showing you part 2 on how to upscale a photo box with scrapbook paper. A small amount of glue. 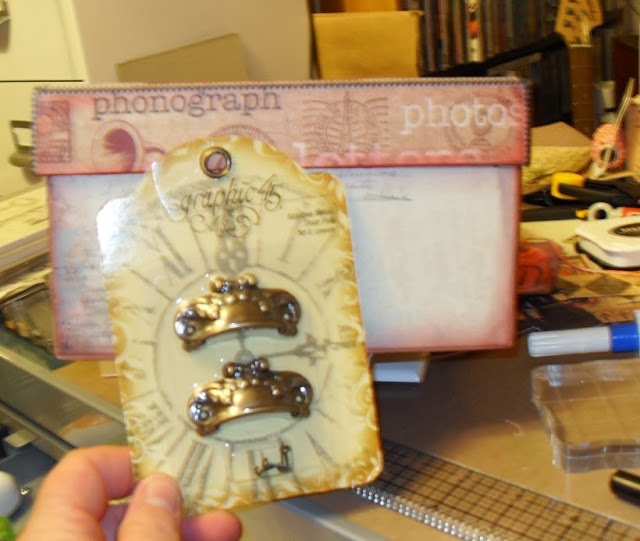 I start decorating the edges of the lid with papers, I chose a theme of old time photography and film-making as a theme for this box but I have ambition to make a Steampunk and a Secret Garden box someday too. Front of lid time to drill! I am using the Best Glue Ever with the No-Clog Writing Tip to apply the glue easily and sparingly as well as precisely where I want it! I decide to use only one draw pull on the front and save the other, but I also have to pry off the label holder and replace it after I apply paper. 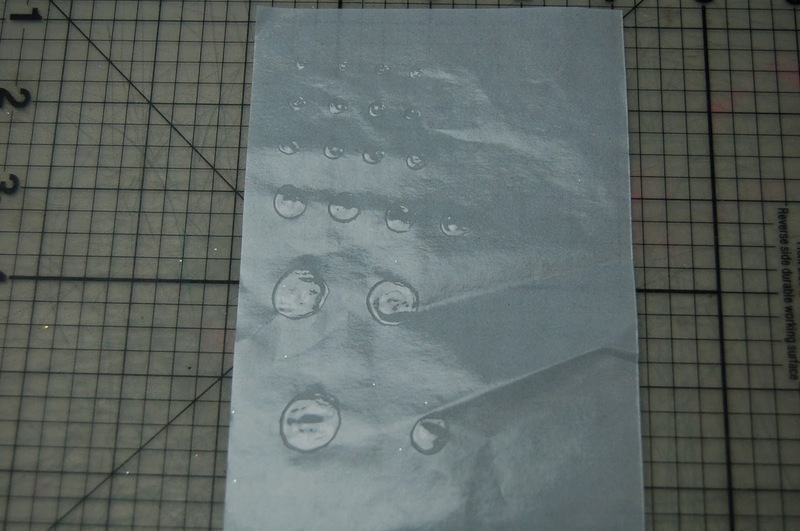 I use the Best Glue Ever to replace the holder after re-punching the lineup holes in the paper. The back lid and a side. I use the always great Embellie Gellie to pick up brads and place them in the holes of the corner guards.